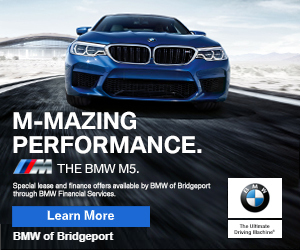 2:16pm–#Bridgeport CT– A man has lost his life in an accident that damaged the Arena At Harbor Yard when his car struck the building and rolling over a number of times. It appears the man was traveling south on Main Street, jumped the curb, hit arena’s outside wall and then rolled a number of times, coming to a stop in front of the box office. The man was pinned underneath the car outside of the vehicle. The car had caught fire, firefighters quickly extinguished the fire and extricated the man but he had died from his injuries at the scene according to first responders. Expect delays in the area as the accident recreation team will be investigating.